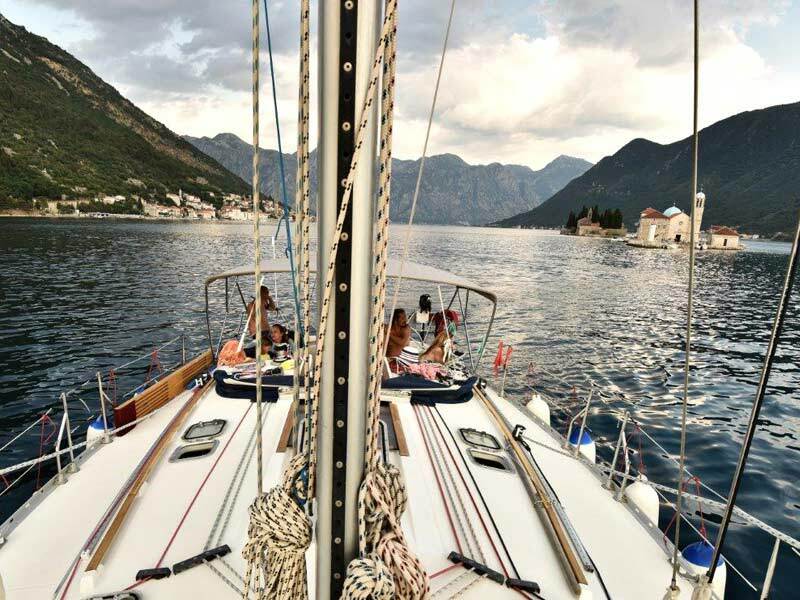 Sailing from Tivat Bay to Kotor Bay you will pass a narrow strait called Verige. The word verige means chains and the strait got its name because the king Louis the Hungarian, used the chains to disable Venetian ships to pass through and attack Kotor in the end of 14th century. In Strait Verige, you should be careful of the ferries which sail from Kamenari to Lepetani and vice versa. 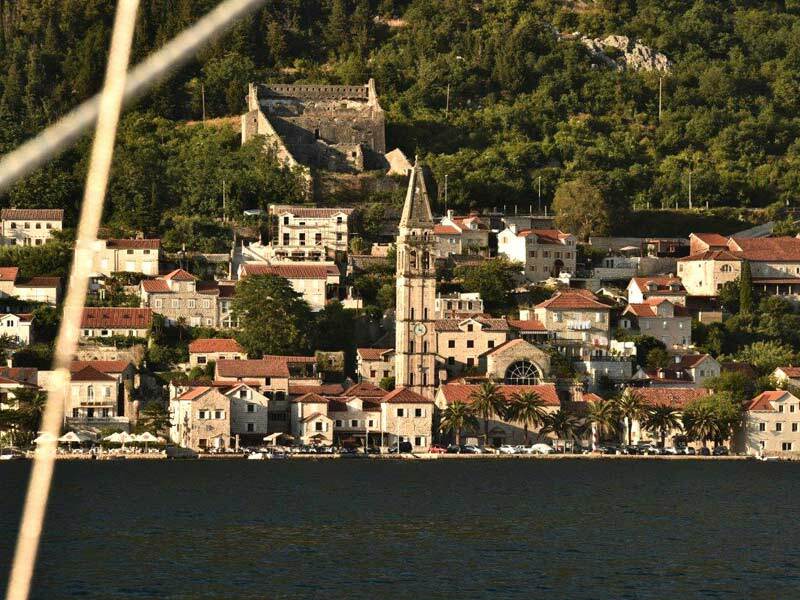 Perast was always a town of sailors. So, naturally the church of St. Nicolas, the patron of sailors dominates the town. Today it has about 350 inhabitants, only one real street but 18 churches and 19 palaces. The most beautiful is Bujović palace which is a home to a towns’ museum. Perast has a little pier but it is not good for mooring. The wind is usually blowing from Verige strait directly to the pier and it is hard to navigate when you are leaving the pier. So, sailors have two options. 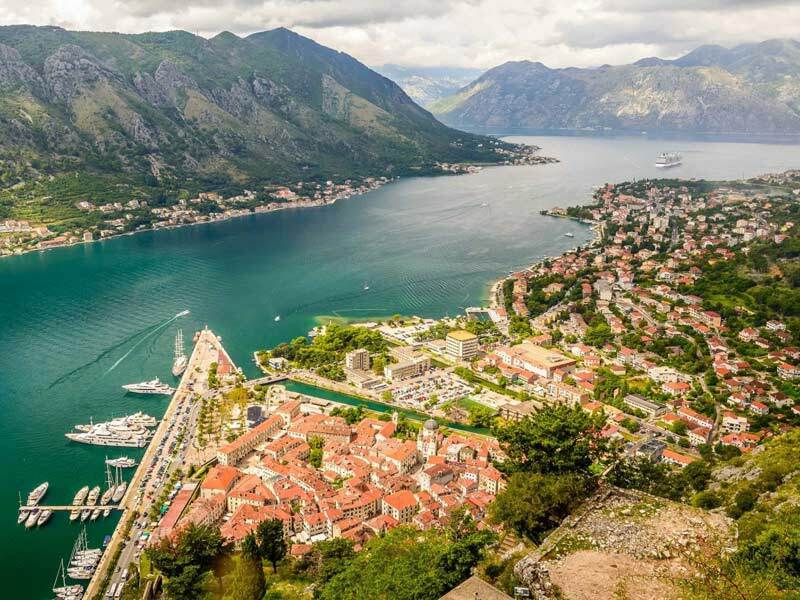 Either the skipper can stay on the yacht and the crew can go to the town by dinghy or you can leave the yacht in Kotor marina and take a bus or taxi from Kotor to Perast. Our Lady of the Rock has a beautiful church and a little museum. It is the only artificial island in the Adriatic. According to a legend the island was built on a rock where two sailors found a picture of a Virgin Mary in 1452. From that point every sailor who would return home safely would lay another rock and today the locals still do it during the traditional event called Fašinada. The church which was built in 1632 have become very important to sailors and today it has the biggest collection of silver votive plates in Europe which can be seen on its walls. Each one tells a unique story of their time at sea and gratitude to Virgin Mary for their safe return. The marina in Kotor is located across the old part of the town. Yacht club Nautica is just inside the walls of the old town (through a small opening in the walls 100 metres SE of the fresh fruit and vegetable market). The club has toilets and showers which are available for use by visiting yachtsmen. Maritime museum will be of interest to curious sailors fond of history. It is located in a beautiful baroque palace from the beginning of the 18th century. You can see many paintings of the sea captains, old uniforms, ship models through the ages, swords, decorative guns and much more. An audio guide is provided. If you would like to visit Kotor’s walls you can use the stairs or alternatively you can use an old road which is an easier way. It is an old Austro-Hungarian trail which lies just outside the city walls near the Northern Gate. Hiking lovers can enjoy climbing Vrmac hill. The views over the bay are stunning and the nature is simply beautiful. You can moor your yacht in little marina in Prčanj or in Kotor marina. Another option is to make an excursion to National Park Lovćen Mountain and pay a visit to an old capital Cetinje. There is a little marina in Prčanj (42 26 39 N , 18 45 13 E) which provides electricity, water and wi fi internet. 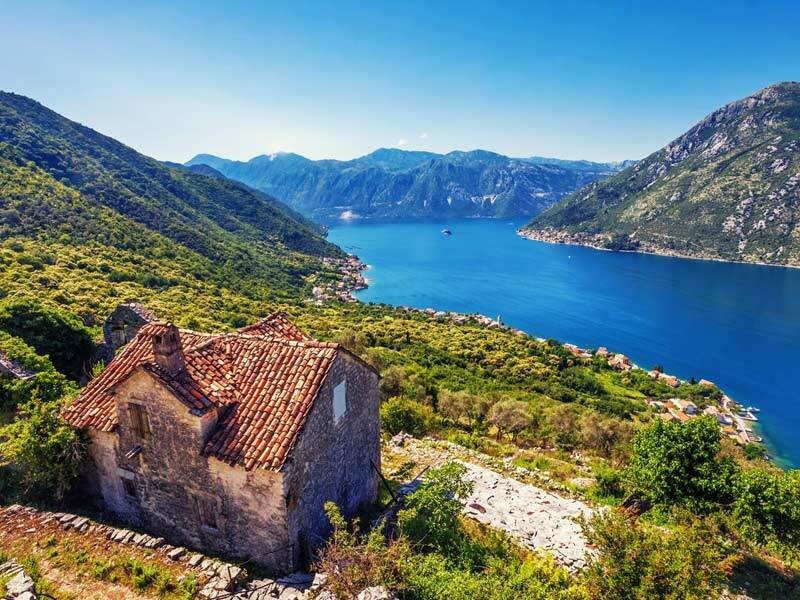 This quiet little town is often of the beaten path because sailors usually visit only Kotor. Prčanj was the home town of famous captain Ivo Vizin who was the sixth captain after Magellan who circumnavigated the globe between 1852 and 1859 on his ship called Splendido. The Austrian Emperor Franz Josef decorated him with a flag of honour Merito navali. The flag is displayed in Birth of Our Lady church which dominates the town. It is one of the largest churches on the whole Adriatic. If you are in hiking mood head to the town Stoliv from which you can get to Gornji Stoliv (gornji means upper). It takes about 30 minutes of walking and the trail goes through an ancient chestnut forest. It is an old settlement with only one family still living there. A church dedicated to the prophet Elijah from 16th century dominates the village. In the old times there was a custom according to which if the man wanted to take a wife he had to plant one hundred of olive trees before he was allowed to marry. If he did not have enough land to do so he would have to cut down the old chestnut trees. This is how this place got its name (from Italian word olive) and a lots of olive trees. Gornji Stoliv is also well known for its camellias, whose seed was brought from Japan by many sailors. 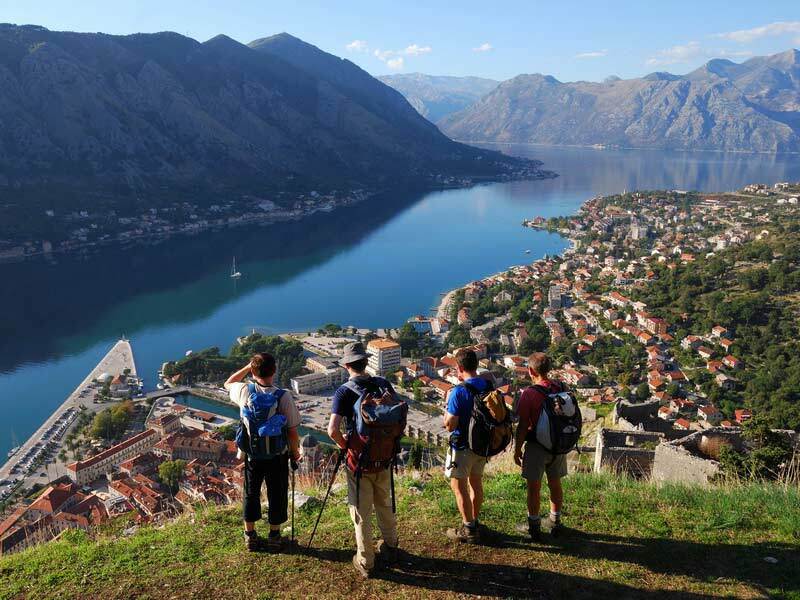 Apart from the feeling that you have roamed into the past you are also going to be rewarded by the sublime views over the bay to Perast.